A driver has been arrested on suspicion of causing the death of a cyclist in a suspected hit-and-run crash. 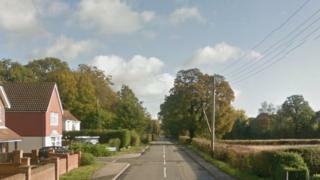 A car and bike collided at about 17:00 GMT on Sunday in Lingfield Common Road at the junction with Cobham Close in Lingfield. The male cyclist died at the scene. A 49-year-old Lingfield man was arrested earlier and remains in custody. He was also arrested on suspicion of driving whilst unfit through drink or drugs and failing to stop. Police urged witnesses to come forward.